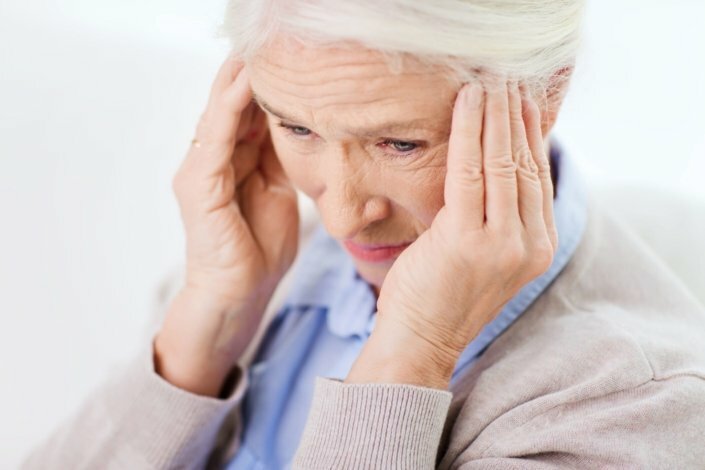 What are giant cell arteritis (GCA) and polymyalgia rheumatic (PMR)? Arteries are blood vessels that carry blood from the heart to the rest of the body. Arteritis is a condition in which the arteries become inflamed (swollen). This reduces blood flow. Giant cell arteritis (GCA) causes certain arteries to become inflamed, red, hot, or painful. It can occur in the arteries of the arms, upper body, and neck. It usually affects the arteries above and in front of the ears on both sides of the head (the temples). This type of GCA is also sometimes called temporal arteritis or cranial arteritis. Polymyalgia rheumatica (PMR) is a condition in which the muscles in your neck, shoulders, hips, and thighs become inflamed. This causes stiffness and aching in these areas. It usually develops over time. But for some people, it can start as quickly as overnight. With treatment, PMR usually goes away within a year. It can last for several years in some cases. How are GCA and PMR related? About half of people who have GCA also have PMR. Between 10% and 20% of people who have PMR also have GCA. They can have these diseases at the same time, or GCA can develop after PMR. Flu-like symptoms. These can include fatigue, fever, and loss of appetite. Pain and tenderness in one or both temples. Jaw pain, especially when chewing. Double vision or vision loss. Pain and stiffness in the neck and arms. Aching pain and stiffness in the neck, shoulders, hips, and thighs. What causes GCA and PMR? Doctors aren’t sure what causes the inflammation associated with GCA or PMR. Problems with the immune system and aging are possible factors. It also could be related to your genes, or to an environmental trigger like an infection. You are more likely to develop GCA and PMR if you are older than 50 years of age. The conditions are most common in women between 70 and 80 years of age. For unknown reasons, Caucasian people are more likely to develop GCA and PMR than people of other races. How are GCA and PMR diagnosed? To diagnose GCA, your doctor will examine the arteries in your temple. He or she will check if they are swollen or tender. They may order blood tests to check for inflammation of the arteries and to rule out other conditions. Often, a biopsy of the temporal artery is needed to confirm the diagnosis. For this biopsy, a small piece of the temporal artery is removed and looked at under a microscope. To diagnose PMR, your doctor will likely perform a physical exam and ask about your symptoms. He or she may order a blood test. This can help detect inflammation of your arteries and check your blood count. Your doctor could also order a muscle biopsy to check for PMR. Can GCA and PMR be prevented or avoided? There is no known way to prevent GCA or PMR because doctors aren’t sure what causes them. Your doctor may prescribe a corticosteroid medicine to treat inflammation and pain. This can help with symptoms of GCA and more severe cases of PMR. These medicines are taken by mouth (in pill form). Once you start taking a corticosteroid, you should feel better quickly. You may need to take this medicine for 6 months up to 2 years. What else can I do to ease the symptoms of these conditions? Eating a healthy diet and getting enough exercise can help relieve the symptoms of both GCA and PMR. Taking a corticosteroid for a long time can raise your blood pressure. It can also increase your blood sugar levels or weaken your bones. Your doctor will need to keep checking you for these side effects during your treatment. Corticosteroids can cause other side effects. These include jitteriness, poor sleep, and weight gain. These symptoms usually get better as you take smaller doses of the medicine. Getting early treatment for GCA is important. If inflamed arteries aren’t treated right away, they could be permanently damaged. This increases your risk of blindness or stroke. But with proper treatment, GCA and PMR may come back. About half of the time, though, a person who has PMR will experience at least 1 relapse. What is the likely cause of my symptoms? Do I need any blood tests or biopsies? I have giant cell arteritis. Am I more likely to have polymyalgia rheumatica? I have polymyalgia rheumatica. Am I more likely to have giant cell arteritis? What is the best treatment for me? Do I need medicine? What are the risks and benefits of taking a corticosteroid? Am I at risk of either of these conditions coming back?